MROC Roster - Add your info!! Forum > Local Clubs > M-ROC (Moderator: Rameses) > MROC Roster - Add your info!! Re: MROC Roster - Add your info!! My name is Travis Braxton and i live in Wilmington, NC. 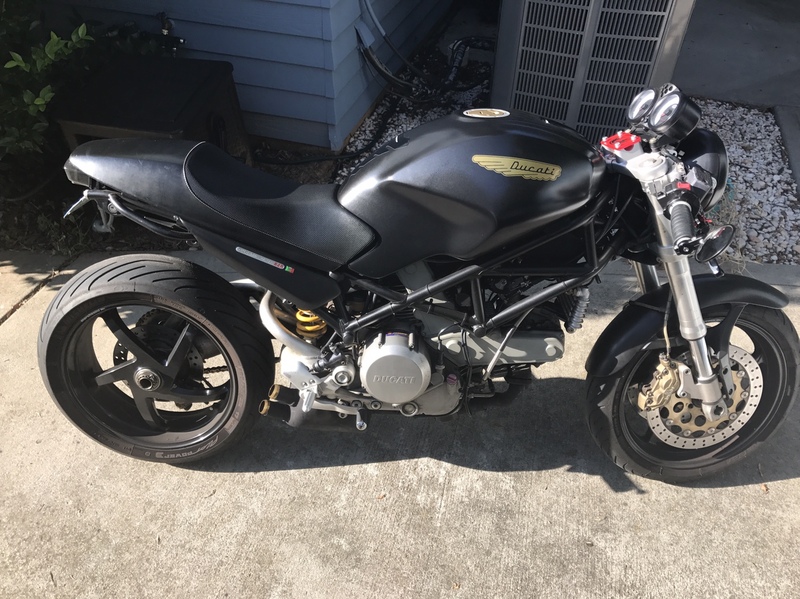 I just got my 2006 ducati monster 620 about a month ago. This is my first bike and I am so very happy with this being my first. Took my virginity in the best way possible....haha. But I am desperate to find people to ride with so hopefully there are some others close! I took a job offer in Greenville, SC area, I'll be moving down in a few weeks. The bike is a 2005 S2R red and white... not sure when the bike will be moved/(rode) down though? Hey all, just moved to Goldsboro from SW Texas. Looking forward to some much improved around here! It looks as if this board gets posted on about once a year.... whats up M-ROC? Just joined but have been on a monster for several years now. Living in the Charlotte area and ridding an '06 S2R800 dark. Sharp looking bike. Sorry this forum is quite dead. Wake Forest, NC here. I have a red/white S2R 1000 with black wheels.